The return of the rotten Rastapopoulos! A hijacked plane! A mysterious, volcanic island! How will Tintin and his friends survive? This is one of my favorite Tintins. The classic graphic novel. 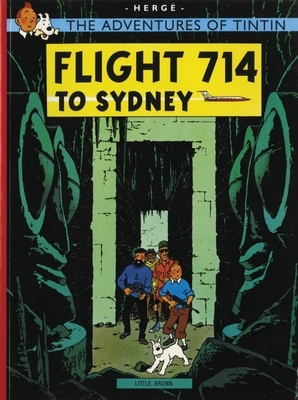 On their way to Sydney, Tintin and Captain Haddock run into an old friend, a pilot who offers them a ride on a private jet. But when the plane gets hijacked, Tintin and the Captain find themselves prisoners on a deserted volcanic island! Hergé, one of the most famous Belgians in the world, was a comics writer and artist. The internationally successful Adventures of Tintin are his most well-known and beloved works. They have been translated into 38 different languages and have inspired such legends as Andy Warhol and Roy Lichtenstein. He wrote and illustrated for The Adventures of Tintin until his death in 1983.